NIA CHARLESTOWN NEVIS (January 01, 2018) — The following is the 2018 New Year’s address by Hon. 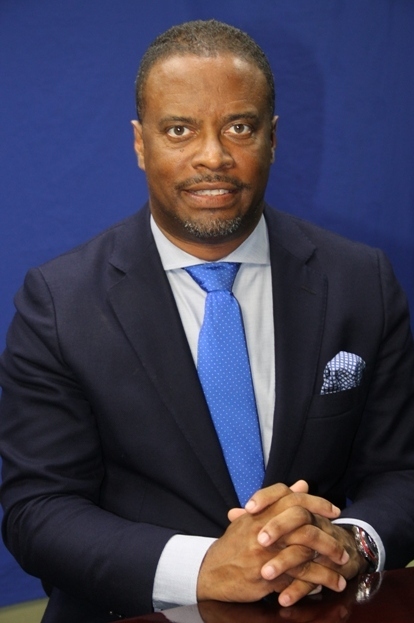 Mark Brantley, Premier of Nevis. Fellow Nevisians, residents and visitors, today we are at the dawn of another New Year. I take the opportunity, at the outset, to wish you and your family a Happy New Year. I sincerely hope that you enjoy good health, abundant joy, lasting peace and prosperity in 2018 and beyond. Each New Year brings with it a renewed spirit of hope, new opportunities and new expectations. It brings new possibilities for us to progress individually and as a Nation. The New Year represents an opportunity for us to reflect on the lessons we have learned from the past year and focus on the challenges and opportunities that will arise moving forward. Two thousand and seventeen, was a year of hits and misses, successes and failures. It taught us that our success as a small island state is not dependent on the size of our nation, nor on the actions or inactions of others but that, with a resilient human spirit and unwavering commitment to succeed, we can overcome all odds. Our ancestors, national heroes, sportsmen and Nevisians from all stations in life have, time and time again, demonstrated that with a sense of purpose and hard work, we can overcome adversity and realise our dreams. In the year ahead, I therefore urge all parents to encourage their children to think big and to dream big and in so doing, succeed in all of their endeavours. The year that has passed, would not have been the success that it was without the sacrifice that was made by our citizenry. I wish to express my profound gratitude to all those who have given yeoman service, in inspiring national growth and sustainable development. I, here think of our dedicated Public Servants, who performed with distinction throughout the year. I am also thankful to our buoyant Private Sector which led the way in registering growth in our economy. I must extend gratitude to our unsung heroes – small business owners, farmers, fishers, those in the hospitality industry and our critically important essential services. On this, the first day of the year, we salute you for your commitment, dedication and diligence in the development and prosperity of our country. While 2017 had its challenges, much was accomplished during the course of the year. Culturama 43 exceeded all expectations and was a tremendous success. It was a cultural explosion of music, art, cuisine, revelry and fun. The new and improved Cultural Village received rave reviews and continues to be the envy of many. In the sporting theatre, 2017 proved to be a year of notable accomplishments. We witnessed young Kian Pemberton being selected to the West Indies Under19 Cricket Team, to participate in the Under 19 World Cup in New Zealand. We saw Mr. Kimbell Ward of Bath Village continuing his rise as a star Fédération Internationale de Football Association (FIFA) official when he officiated several World Cup qualifiers and other international matches. Kimbell was also a finalist for the Confederation of North, Central America and Caribbean Association Football (CONCACAF) Referee of the Year. Our cricketing star Carl Tuckett, was given a number of umpiring assignments regionally and internationally and young Clidia Christmas, one of our female footballers, travelled in June to the United States of America (USA) to play in the Treasure Coast Dynamite Premier League. In Education, it was a year in which we saw a marked improvement in the Caribbean Advance Proficiency Examination (CAPE) pass rate (from 81 percent to 84 percent) and a modest improvement in Caribbean Secondary Education Certificate (CSEC) results (from 80 percent to 81 percent). The Gingerland Secondary School, once again, emerged as the top performing school in the Federation for 2017. True to our motto of “Education for All”, we witnessed the expansion and rehabilitation of the school plants at our two secondary schools and at the Gingerland Pre-School. Additionally, in 2017, the Nevis Island Administration assisted in excess of 100 students with full or partial scholarships to further their studies abroad. We have made and will continue to make significant investments in our youth. Two thousand and seventeen, was the year in which we saw the commissioning of the new 3.85 megawatt Wӓrtsilӓ engine by the Nevis Electricity Company Limited (NEVLEC). This was an EC$13.5 million investment in electricity and in our people. During this period, we also realised the commencement of the Maddens Housing Project. This EC$10 million project was oversubscribed and reinforces the fact that Nevisians are committed to empowerment through home ownership. The massive infrastructure development that took place in 2017, displayed the spirit of hard work, creativity and ingenuity found within our Nevisian workers. We witnessed the repairing and construction of Rawlins Road, Hermitage Road, Shaws Road, Bath Bridge, upper and lower Farms Road and the roads at Braziers and Marion Heights to name a few. With pride and professionalism, all of these projects were undertaken by Nevisians for Nevisians. The year 2017 also saw the completion of the first phase of the Mondo Track which, to date, is the largest single sporting project accomplished on the island of Nevis. I, am happy to report that this nine-lane synthetic track, the only one of its kind in the Caribbean, has recently been International Association of Athletics Federations (IAAF)-certified. This is a tremendous accomplishment for our island, since such certification means that our little island of Nevis, can now host all regional and international track meets with the exception of World Championships and the Olympics. As an island, we are little in size but big in ambition. My fellow Nevisians, the year ahead promises to be more exciting and memorable than that which has passed. We will see the completion of all government projects which have already begun. The long awaited hospital project will commence in earnest and the Brown Hill Road project will be continued. The construction of Technical and Vocational Education and Training (TVET) centres at our two High Schools, will begin in the summer of 2018.This will ensure that our Nevisian students and adults attain their Caribbean Vocational Qualification (CVQ) and become competitive regionally and internationally. The year 2018, will be the year when we will witness the construction of the much anticipated New Castle Police Station and the new pier and amenities at Oualie Beach. We will see an improvement in our crime fighting capacity with the construction of a state of the art Closed-Circuit Television (CCTV) room at the Charlestown Police Station and as part of the Federal CCTV project, cameras will be installed across the length and breadth of the island of Nevis. I look forward to the 2018 cruise season with great enthusiasm, anticipation and expectation. This season promises to be the largest in the history of our island. Last year we received 56 scheduled calls. This year we are expecting 100 calls which represents 40 additional calls or a 72 percent increase. In 2017, we had 9,386 passenger arrivals while, for the upcoming year, we are expecting 20,575. This is an increase of 11,189 passengers or a 119 percent increase. My fellow Nevisians and residents, in 2018 we will continue our protracted struggle against the scourge of crime and violence. My heart and thoughts are with all of those who have lost loved ones through acts of violence. My fellow Cabinet Members and I, wish to make it quite clear that we abhor and deplore all acts of violence, be it in the home or in our communities. There should be no ambivalence to crime and to criminals and they should have no safe haven or respite. Crime retards and impedes a country’s economic prospects. Its socio-economic impact upon a country can be debilitating and devastating. Resources that should be used for the sustainable development of a country, often have to be diverted in order to fight crime. Crime and good social order cannot co-exist, particularly in an economy like ours that is heavily dependent on tourism. Make no mistake, crime represents an existential threat to our tourism industry, our economy and our very way of life. Too many of our people have lost loved ones to a crime and too many of our families are hurting but Nevisians are a peace loving people and as such, we must never allow the miasma of crime to overwhelm us, nor should we become silent accomplices behind closed doors. For 2018, my Administration pledges to redouble its efforts in fighting crime. We will commence shortly with the construction of the Newcastle Police Station. We will double our budgetary support for the Police Officers residing on Nevis and we will ensure, that these officers have proper access to training and are equipped with modern crime fighting tools. Crime, as we know, is a social problem and fighting crime requires and demands the efforts of the entire community and the resolve of our entire Nation. In the year ahead, we will, as a Government, have national conversations and open dialogue with our youth and devise structures which will engender positive beliefs and values in them. My government is fully committed to finding a way to re-establish in our youth, the need for nonviolent responses to their grievances, misunderstandings and disagreements. This task will require the unprecedented efforts of all major institutions – the family, the schools, the church and all other community organisations. In the year ahead, you can be confident that the Nevis Island Administration will leave no stone unturned nor any chapters unread, in slaying the dragon of crime and violence. My fellow citizens and residents, we have recently emerged from a bruising election, one that was filled with vitriol and vexation. It was an election that tore at the very fabric of our relationships and strained our Nevisian civility. On this New Year’s Day, I urge all Nevisians to let bygones be bygones. Let us heed the words of our Saviour Jesus Christ and forgive those who transgressed against us, not seven times seven but “seventy times seven”. Let us begin a national healing and ensure that we create the kinder gentler Nevis we wish to see. My party was given a mandate to govern but the Opposition was also given a mandate to be heard. In a democracy, the majority rules but not at the expense of the minority. That is why, starting today 1st January, 2018, I am encouraging all citizens to carry out your personal “ONE NEVIS” campaign – Regardless of our place of birth we are ONE NEVIS; regardless of our skin colour we are ONE NEVIS; regardless of our race we are ONE NEVIS; regardless of our religious beliefs we are ONE NEVIS and regardless of our political persuasion we are ONE NEVIS. At this juncture, allow me to congratulate all of the Nevisians who successfully participated in Sugar Mass 46 and made us so proud: The Mighty Sookie – King in the Jr. Calypso Competition. The Mighty Invincible – King in the Primary Jr. Competition and Mr. Arundel Dore – winner of the National Mr. G.Q. Competition. You have all performed with distinction. You are all outstanding ambassadors and you are the pride of our island. Fellow citizens and residents, as we usher in the New Year, let us work harmoniously in our homes, our schools, our workplaces, our communities and our nation. Without unity, all of our resolutions and aspirations for the upcoming year will ring hollow and elude us. Let us not tire in doing what is good nor be daunted by the criticism of others. Let us forge ahead with optimism, unite in all of our endeavours and achieve the great promises that the New Year brings. Happy New Year and May God grant you good health, joy and prosperity for 2018 and beyond. May He, from whom all mercies flow, guide and guard our beloved island for 2018 and forever more. Thank you and my God bless you.